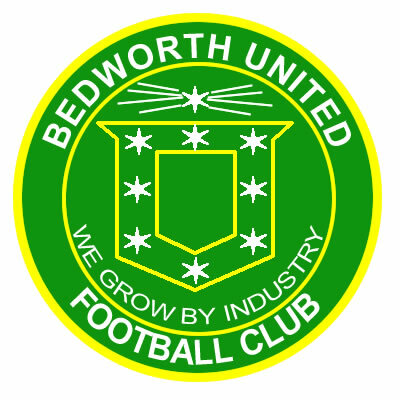 Bedworth United boss Mark Hallam has clinched the services of two vastly experienced players in John Deakin and Matt Coppin. Midfielder John Deakin comes to the club with a conference winners medal in his cabinet. Deakin played a big part in Kidderminster Harriers' conference winning side - and despite a year out of football, Hallam believes the now Walsall u-16's coach can play a big part, even if he doesn't kick a ball. "Not many players can boast a conference winners medal, and not many can boast John's know-how and his achievements in general at this standard. "John will join us for pre-season, and if he feels no side effects from the training programme, he will be playing for us next season"
"However, even if John doesn't kick a ball, his knowledge of how to win leagues, and his coaching calibre and experience will be a great asset to our younger players, and his links with Walsall means we can add another professional club to our list of contacts"
Hallam has also swooped to finally capture 29 year old forward Matt Coppin from Studley. Coppin, who has also played for Bromsgrove and Solihull in the Southern league, turned down a move to Bedworth last season due to personal reasons. However, Bedworth boss Mark Hallam is glad to finally secure Coppins signature from a successful Studley BKL side. "At 29 Matt is now at his peak and will be a great bonus for our younger forwards in Lee Moore and Junior Hewitt. "We have seen through Phil Male and Neil O'Sullivan just how well the cream of the Alliance can fit in, and Matt joins us from a Studley side who finished high in the Alliance and went a long way in the FA Vase"
"Matt has been around this level since he was released by Derby at 18 so he, like John, is vastly experienced and is the right type of player for our younger players to feed off."